Many of the most popular Italian holidays are shared with all the western world, think of Christmas or New Year’s Eve. Others have been imported, like Halloween. Others yet are typically Italian, like our national holidays or the Epiphany. Let’s review some of the most cherished among Italian holidays, which are not known or practiced in the rest of the world. 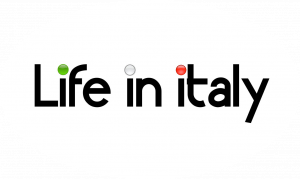 If you’d like to know more about specific holidays in our beautiful peninsula, you can find more articles in this section of Lifeinitaly. The Epiphany is celebrated on the sixth of January and it originally symbolized the birth of Jesus. It is still celebrated as that in the Eastern Orthodox Church. However, when the Catholic Church decided to celebrate Christmas on the 25th of December instead, the meaning of the holiday changed, at least for Catholics. Greek for “miracle,” the word “epiphany” came to be known as a celebration of three important events that took place early in Jesus’ life: the visit to the a newly born Jesus of the Three Wise Kings, or Magi, his baptism by John the Baptist, and the first miracle he performed, at the wedding in Cana. In Italy, the Epiphany marks the end of the Christmas season: it is, literally, the Twelfth Day of Christmas. As the saying goes “l’Epifania tutte le feste porta via”, which can be roughly translated as “Epiphany takes all the holidays away”. On the sixth of January, children wake up to find presents from the Befana, an ancient Santa Claus-like figure with the appearence of an old, benevolent hag, all trussed up in old clothes and shoes and flying on a broomstick. Her name originally meant “giver of gifts”. Just like Santa Claus, she flies down chimneys to fill stockings with toys and candy. In some areas of Italy, the Befana leaves toys and candies for good children, and pieces of coal for the naughty ones. Some parents use coal-shaped sweets as a friendly advice for their children, the implied message to them being “next year behave better”. The entire family then ventures out to take part in large, colorful street fairs, where they buy more gifts, usually terracotta statuettes or kitchen ware. In Rome, Piazza Navona hosts a very popular Christmas street market, renowned as a favorite location for Epiphany day shopping in the city. Celebrated on the twenty-fifth of April, it commemorates the liberation of Italy by Allied troops in the Second World War. After Italy surrendered, Nazi Germany considered it as a new enemy, and intensified the anti partisans operations against the Italian freedom fighters. The holiday is meant to honor all those who died during the war, from soldiers, to civilian victims of Allied bombings and atrocities committed during Nazi Germany’s bitter retreat from its former ally’s territory. The first of May is celebrated in most of the world as Labor Day. In Italy, it is not just a workers’ holiday, but a day for left political parties to hit the streets and protest their cause. The atmosphere is usually festive, like one, friendly street fair. However, protesters sometimes get carried away and become a little too rowdy. The climax of every First of May celebration is the free music concert of Piazza San Giovanni, in Rome, where the most important Italian singers and performers, as well as many foreign stars perform before a festive audience. The second of June marks the day in 1946 when Italy voted in a referendum to abolish the monarchy and become a republic. Support for the monarchy had plunged because the king of Italy had supported Mussolini. So hostile was the public, that the royal family was exiled from Italy as punishment, an exile that only ended recently. The high moment of the festival is the parade of the Armed Forces in Rome. Along with Christmas, Easter, and New Year’s Eve, Ferragosto is probably the best loved holiday in Italy. Celebrated on the fifteenth of August, it honors Mary’s Assumption to Heaven, where Catholic belief says She sits beside her Son, Jesus. It is a day of great festivities with celebrations in the streets and prayers to the Virgin Mary for thanks and support. All of Italy shuts down to celebrate Ferragosto. During the years, just like Christmas, the religious connotation of the holiday has been overtaken by its mundane side. In most of Italy, especially in touristic areas and locations, Ferragosto is a sort of second New Year’s Eve, with parties and celebrations. All Saints day, the first of November, and All Souls’ Day, the second, are associated strongly with Catholic tradition and belief. All Saints celebrates the memory of every Catholic saint and martyr, known and unknown, whereas All Souls’ day centers on the remembrance of those who departed this world. The two are usually considered as a continuum by most Italians, who use these days as a moment to reflect and remember the departed. The Feast of the Immaculate Conception takes place on the eighth of December and it is, generally, a Holy Day of Obligation. The faithful are required to attend Mass, where they commemorate when Mary was graced by God to lead a life completely free of sin. The Feast of St. Stephen is celebrated on the twenty-sixth of December, the day after Christmas. It is part of the Twelve Days of Christmas, and honors the first martyr for the Newborn King, Stephen. June, 24th: Florence, Genoa, and Turin honor St. John the Baptist. June, 29th: Rome honors Saints Peter and Paul. July, 15th: Palermo honors St. Rosalia, a pious young woman credited for saving the city from plague in 1624. September, 19th: Naples honors San Gennaro, a saint and martyr who died while visiting Christians imprisoned by the Empire and forced to work as slaves in sulphur mines for the crime of being Christian. October, 4th: Bologna honors its patron saint, San Petronio and the entirety of Italy celebrates its national patron protrector, Saint Francis of Assisi. November, 3rd: Trieste honors San Giusto. December, 7th: Milan honors St. Ambrose, one of the key founders of the early Roman Catholic Church. November, 21st: Venice honors St. Mark. His feast day is actually April 25th, but since that is also Liberation Day, the city gives its patron saint his own holiday in November instead. The month of August itself can be described as one long holiday. Dating back to Roman times, it has been common for everybody in Italy to escape the hottest time of the year by leaving the city and retreating to the countryside or the sea. It is a time for people to rest, travel, and just celebrate life in general. 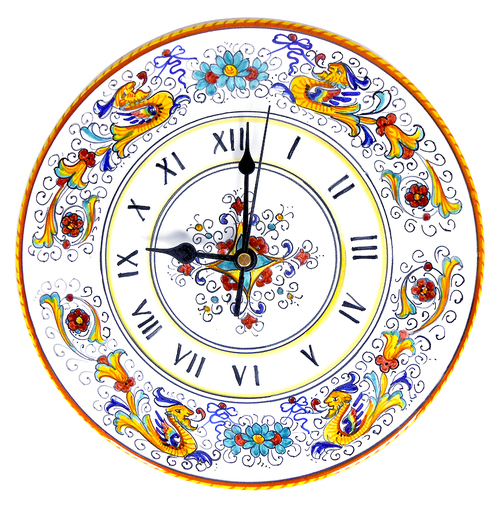 The first day of the New Year is an official holiday in Italy, as it is in most other parts of the world. New Year’s Eve (December 31st) is also known as the Night of St. Sylvester in Italy. Carnevale in Italy usually lasts about 20 days or so and ends on Martedi Grasso (Fat Tuesday/Mardi Gras), the day before Ash Wednesday. Carnevale is the period of relaxation and partying before the beginning of Lent, which extends for 40 days, until Easter. Children dress up in costumes and cities organize major parades, especially in Venice and Viareggio. Special sweets are baked, such as castagnole and frappe. As Easter changes every year, Carnival doesn’t have a set date either. This is the most important Catholic celebration and it is meant to remember the resurrection of Jesus Christ. The observance of Easter usually lasts the entire weekend, starting with Thursday night, which would have been the night of Jesus’ arrest. Holy or Good Friday is the day that commemorates Jesus’ crucifixion, Saturday is spent in mourning with no festivities or fancy food allowed, and Sunday is the day for the celebration of the resurrection. Bells resound throughout Italy on Easter Sunday to mark the event. Easter Monday (Angel’s Monday, or Pasquetta, Little Easter) is also an official holiday. Christmas is Christmas everywhere, a holiday to celebrate the birth of Jesus. Families gather to exchange gifts on the night of the 24th and then they celebrate the 25th with a big lunch. Christmas trees and nativity scenes (presepe) are the most used decorations, much like in the U.S.